MORE than 15,000 Northern Ireland pensioners aged 70 and over are providing a minimum of 35 hours unpaid care every week – the equivalent of a full-time job. And over 400 of them are 90 years of age or older, an investigation by Detail Data has revealed. As Carer’s Week begins today Carers NI has warned the figures – calculated through an analysis of Carer’s Allowance claimants - are just the tip of the iceberg. Research for Carers UK estimates there are now more than 220,000 carers in Northern Ireland – a 20% increase since 2001. The charity places their annual economic contribution at £4.6billion – similar to the entire 2016/17 Stormont health budget. Yet Department for Social Development (DSD) figures show Carer’s Allowance is paid out to only around 42,000 people. Commenting on her husband’s caring role, Mrs Burnside said: “At night when I get into bed I wonder what Richard’s thinking about, what sort of life has he? According to Carers NI there are thousands of people like Mr Burnside suffering financial hardship, isolation and ill health as the numbers caring for family and friends continue to rise with an ageing population and pressure on health budgets. The Northern Ireland Statistics and Research Agency (NISRA) projects the aged 65 and over population will increase by 25.8% between 2014 and 2024. Evelyn Hoy, chief executive of the Commissioner for Older People for Northern Ireland, said: “Government and society is dependent on older carers - they save the health service millions of pounds every year by providing care and support to older relatives and friends. “They play a vital role providing regular and substantial care, supporting loved ones to live dignified lives whilst remaining at home. Yet many carers go without much needed support and respite which could help them in their caring role. Carers (aged over 16) are providing at least 2.4million hours of unpaid care every week – if that care was provided by a home help on the minimum wage that could cost the government more than £16million a week in wages alone. 64% of carers are female. Almost half of carers have been caring for 35 hours or more a week for longer than five years. Of the 68,800 Carer’s Allowance claimants almost 25,000 of them are entitled to Carer’s Allowance but don’t receive a payment. This is because they receive another benefit which equals or exceeds their weekly rate of Carer’s Allowance. For example, 89% of them are receiving a state pension. The statistics don’t include young carers under the age of 16, anyone caring less than 35 hours a week, anyone earning more than £110 a week after deductions, anyone in full-time education and hidden carers. Our interactive map, which can be accessed above, shows the highest numbers of Carer’s Allowance claimants live in the postcode districts BT48 (3,320), BT34 (2,490), BT47 (2,470) and BT35 (2,300) which covers areas in Derry/Londonderry and Newry. Richard Burnside has been caring for his wife since 1998. In 2001 multiple sclerosis (MS) cost Mrs Burnside her livelihood and seven years later her husband gave up his job as he struggled with the demands of work and care. The loss of two salaries had and continues to have a profound impact on their lives. It has also taken its toll on Mr Burnside’s health and social life. The 54-year-old explained: “My life was pretty active before I started the caring role. I worked in Shorts for 23 years up until 2008 when the caring role became too much for me and I had to leave. It came to a point where medically I had burnt myself out. Stringent restrictions mean anyone in receipt of Carer’s Allowance must be providing at least 35 hours care a week and cannot earn more than £110 per week after deductions. Although his wife gets one or two weeks of respite care twice a year, which the couple has to part-fund, Mr Burnside uses that time to do work to their home. Carers NI has warned government is not doing enough to support unpaid carers whose dedication allows thousands of seriously ill people to retain their independence and continue to live in their local community. There is no reference to carers in the draft Programme for Government 2016-2021. A Department of Health spokeswoman said: “The new minister is very aware of the commitment and dedication demonstrated by carers in our community and fully supports the vision that carers must be recognised as equal partners in care. Detail Data has joined forces with Carers NI who will today launch a new report at Stormont as well as our findings. MLAs will be asked to pledge their support to unpaid carers. Carers NI general manager Clare-Anne Magee is urging government to work with voluntary and community organisations and local carer support groups to “make a difference to carers living in Northern Ireland”. The charity’s damning report shows that many carers are struggling to make ends meet. 28% of carers are in debt as a result of caring. 51% have no one in the household in paid work. 68% are caring for more than 50 hours a week. Almost a third has a disability themselves. Of almost 200 people surveyed many spoke of suffering anxiety and stress. Carers NI monitored calls to its advice line over a week for Detail Data. Click here to read case studies from the calls. More than 1,500 calls are made to Carers NI’s advice line every year but that vital service as well as the support services and carers’ support groups they facilitate could be under threat because of government cuts. The Department confirmed core grant funding is being withdrawn over a three year period “with the existing core grant scheme coming to an end in March 2018”. The number of Carer’s Allowance claimants has increased dramatically in the last 10 years. There has been a 177% increase in the number of over 65 year olds claiming for providing care but a drop in those actually receiving Carer’s Allowance over the decade. The percentage of claimants of all ages in receipt of Carer’s Allowance has also fallen from 71% in May 2005 to 61% in May 2015. A response from the Department for Communities stated: “The proactive targeting of carers with potential entitlement to Carer’s Allowance is a key priority for DfC. A multi strand approach has been adopted to help achieve this goal which includes indirect targeting, such as the Make the Call advertising campaign; direct targeting, where customers are pre-selected for a benefit entitlement check; and partnership working with groups, organisations, and statutory bodies who work with carers. From autumn 2016 a new three-year Department for Communities campaign (Supporting People – Maximising Income through the Uptake of Benefits) will include a focus on carers. The Department added that there are no plans to review Carer’s Allowance. The new Department for Communities – which has taken over DSD’s functions - will apply already agreed changes to the welfare system which could also impact on the benefits carers receive. A person will no longer be entitled to Carer’s Allowance or Carer’s Premium if the person they care for doesn’t qualify for Personal Independence Payment (PIP), which is replacing Disability Living Allowance (DLA). Carers NI also believes an urgent review of the 10-year-old government strategy Caring for Carers is needed. The Department of Health policy acknowledges that “carers reduce the amount of input that health and social services and other agencies need to make”. Almost half of carers surveyed by Carers NI said they have received little or no helpful information from government about where to go for support. Many cited problems with Carers’ Assessments which provide an opportunity for carers to discuss with their local social care trust what support they need. 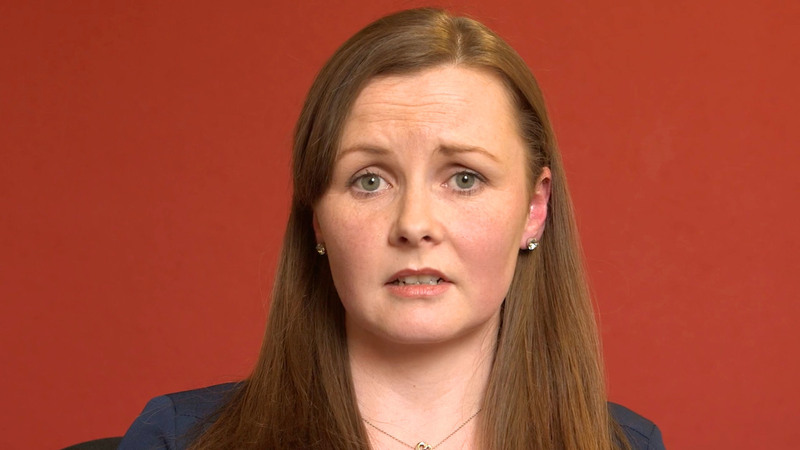 Carers NI’s Clare-Anne Magee explained: “Carers’ Assessments need to be more than a tick box exercise. They are something that should be offered to all carers under the Caring for Carers strategy. Latest figures show just 40% of Carers’ Assessments were accepted/completed in December 2015 and 60% were declined by carers – an ongoing trend since June 2011. Although the Caring for Carers strategy dedicates a section to young carers and highlights the importance of providing support for them, neither the Departments of Education nor Health hold figures on the number of young carers aged under 16. However, a Department of Health spokeswoman said the “numbers of young carers up to the age of 18 availing of services by trusts” was 547 as of March 31, 2015 adding “these numbers do not include all young carers only those availing of services”. In comparison Crossroads Young Carers estimates there are more than 8,000 young carers in Northern Ireland with the youngest aged just five. •Carers (aged over 16) are providing at least 2.4million hours of unpaid care every week – if that care was provided by a home help on the minimum wage that could cost the government more than £16million a week in wages alone. •64% of carers are female. •Almost half of carers have been caring for 35 hours or more a week for longer than five years. •Of the 68,800 Carer’s Allowance claimants almost 25,000 of them are entitled to Carer’s Allowance but don’t receive a payment. This is because they receive another benefit which equals or exceeds their weekly rate of Carer’s Allowance. For example, 89% of them are receiving a state pension.